Ms Aruna Roy, noted Indian social activist, was invited to be Professor of Practice in Global Governance in residence at the Institute for the Study of International Development in Fall 2016. One of her tasks was to teach a 500-level seminar course. This invitation to come to McGill was, among other things, an acknowledgement of the role that she and her organisation – The Mazdoor Kisan Shakti Sangathan (MKSS) - played in the successful people’s campaigns which led to pro-people legislations being passed in the Indian parliament in the period between 2004 and 2014. 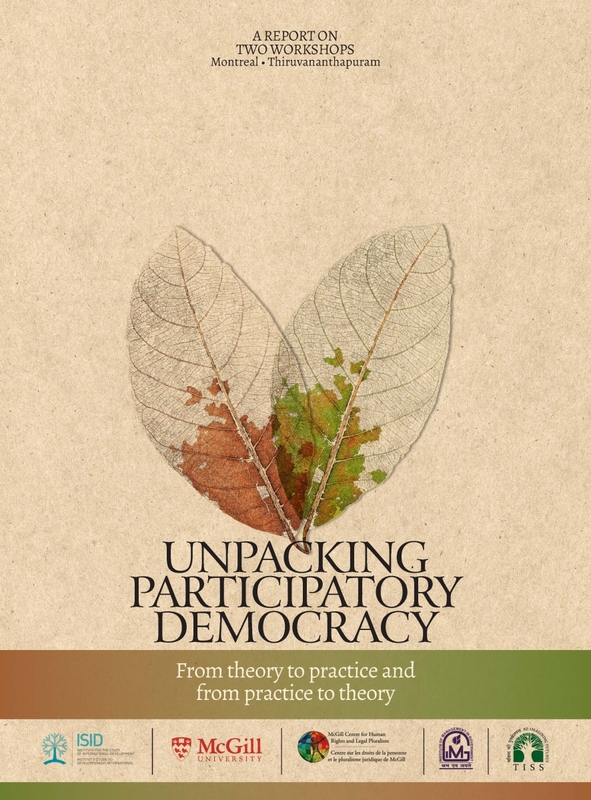 The context of this report is the two part workshop – “Unpacking Participatory Democracy: from Theory to Practice” – based on Aruna Roy’s seminar course on, “Transparency, Accountability and Participatory Governance – Lessons from People’s Movements in India”. The workshops were held in Montreal in November 2016 and in Thiruvananthapuram in February 2017.